Shoulder bursa injury. 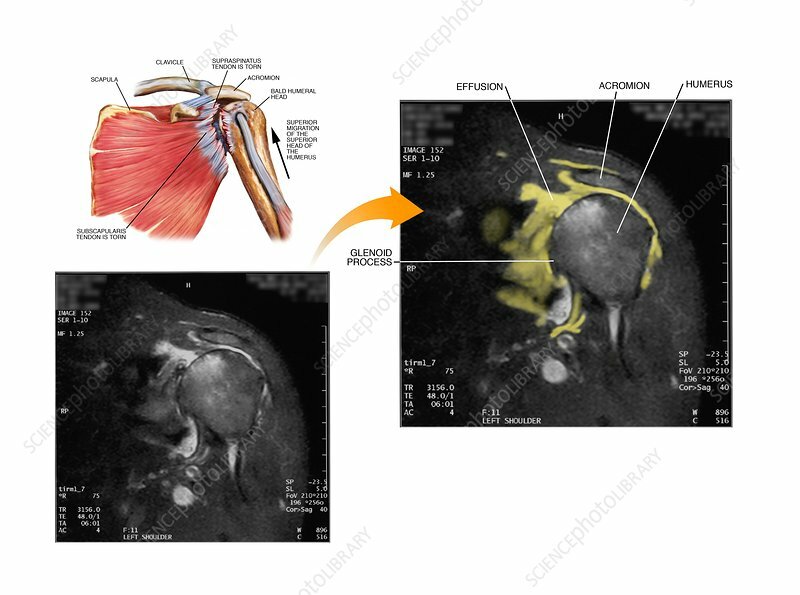 Labelled artwork (upper left) and magnetic resonance imaging (MRI) scans of an effusion of the subdeltoid bursa of the left shoulder. The MRI scans show the injury, with the effusion (yellow) highlighted on the coloured version (upper right). The artwork is an anterior (frontal) view, showing how the bursa effusion arose from a rotor cuff tear injury. This is a tearing of tendons holding chest muscles to the head of the humerus (upper arm bone).